IPL 2019: Chennai need 59 runs in 65 balls. 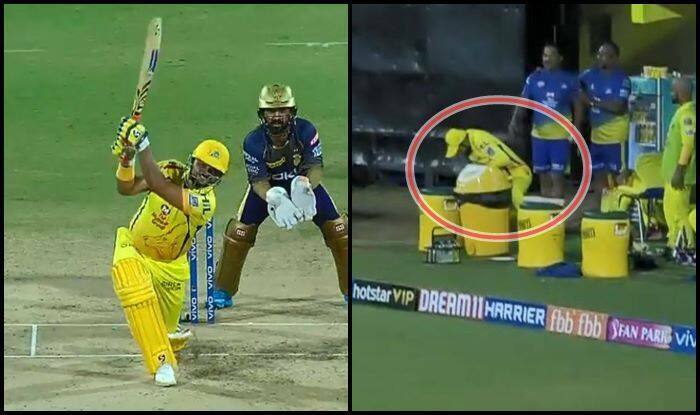 IPL 2019: One sure cannot take ‘Sir’ Jadeja out of action, be it on or off-the-field! Jadeja was in the dugout when Raina hit Narine for a six straight down the ground. The ball was going straight to the yellow dugout when Jadeja got up from his seat and took the catch. It also meant no one got hurt. It happened in the third over and Jadeja took it safe as a house. Raina did not last for a long time as he was dismissed for 14 off 13 balls. Here is the video of the episode.